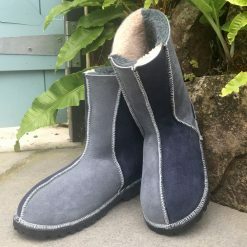 The design of this boot with its central front seam and shaped ankle creates a style that elegantly follows the natural contours of the leg providing good support for the feet. 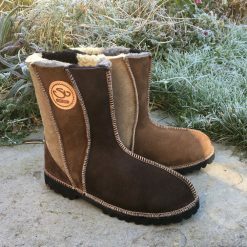 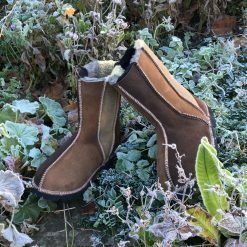 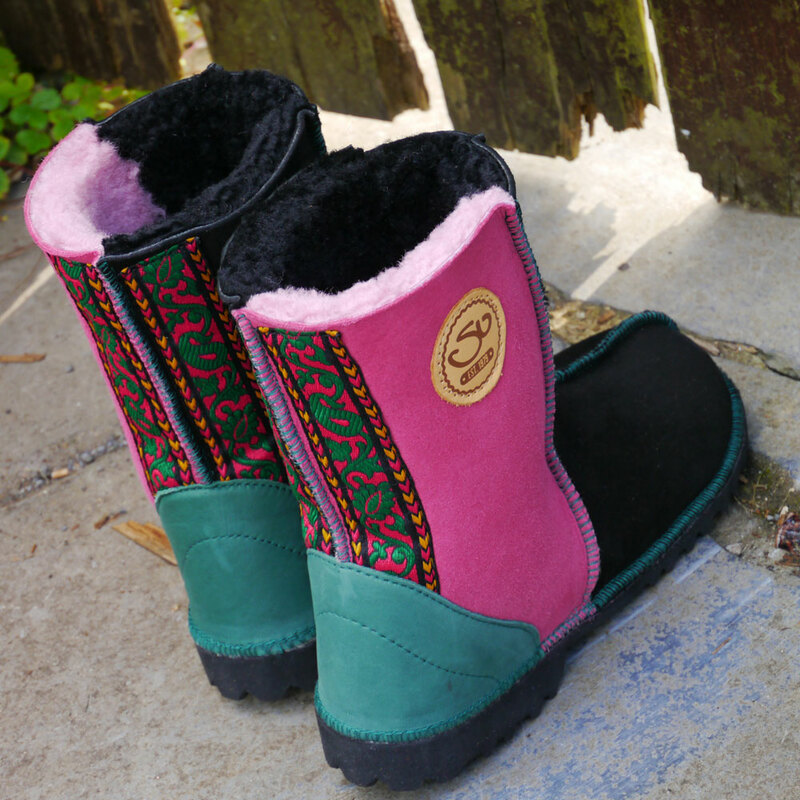 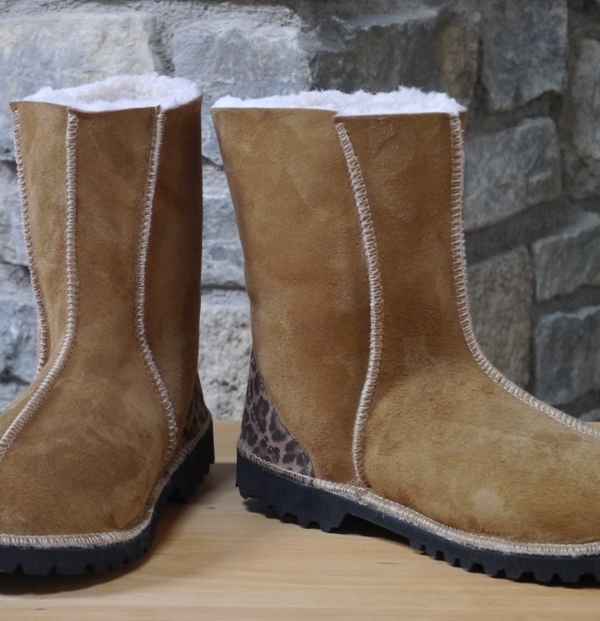 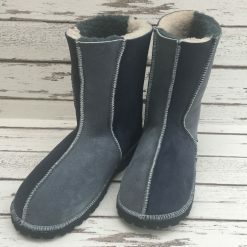 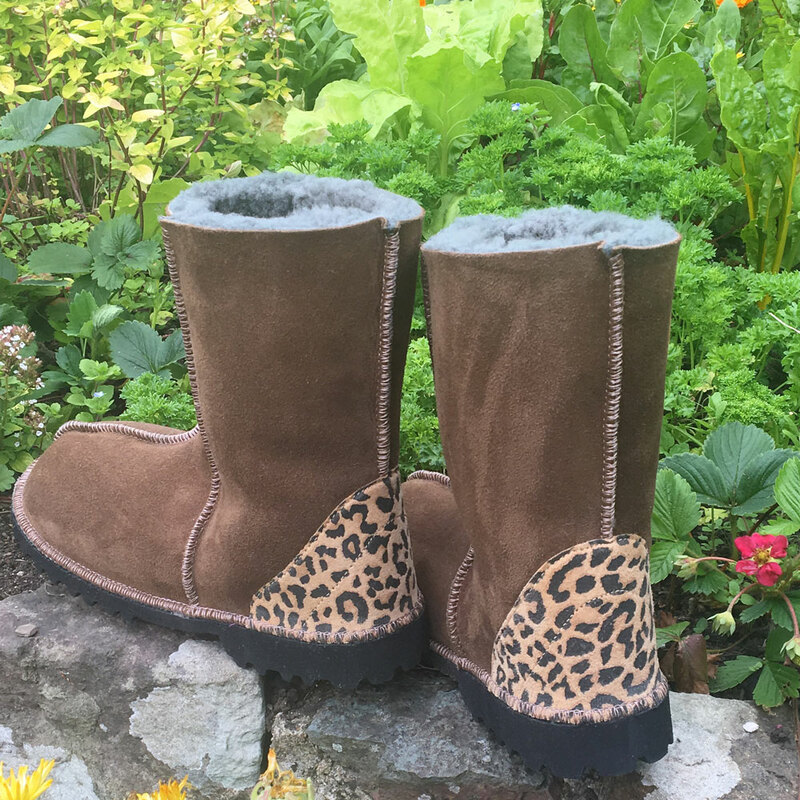 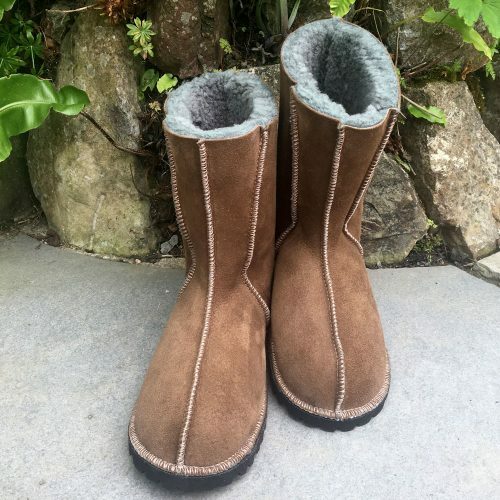 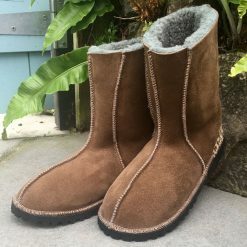 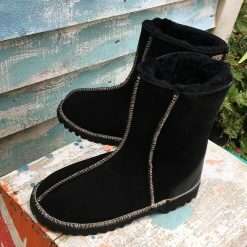 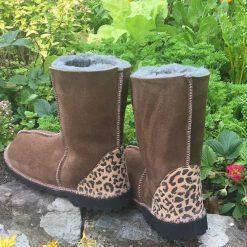 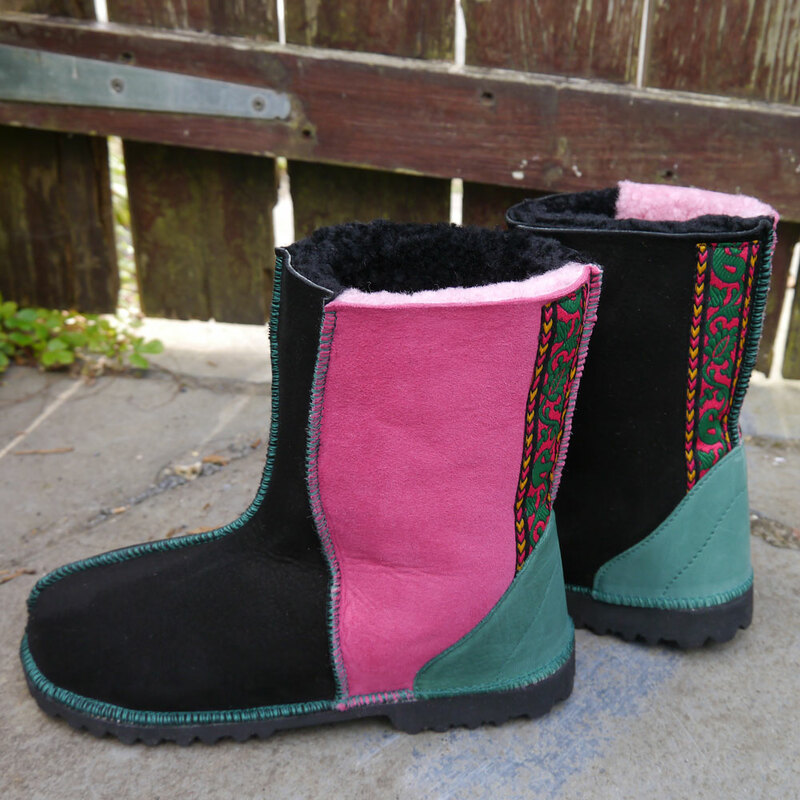 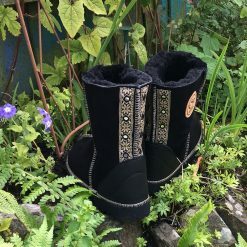 We have found, during our thirty-nine years of experience, that this design is longer-lasting and more comfortable than the usual ugg style which is based on a rectangular construction. 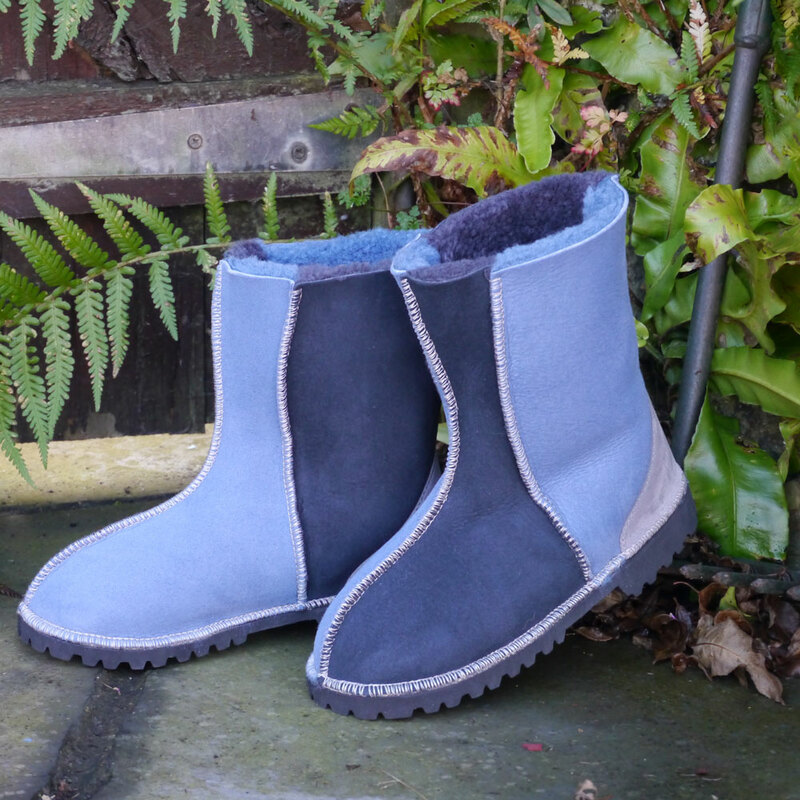 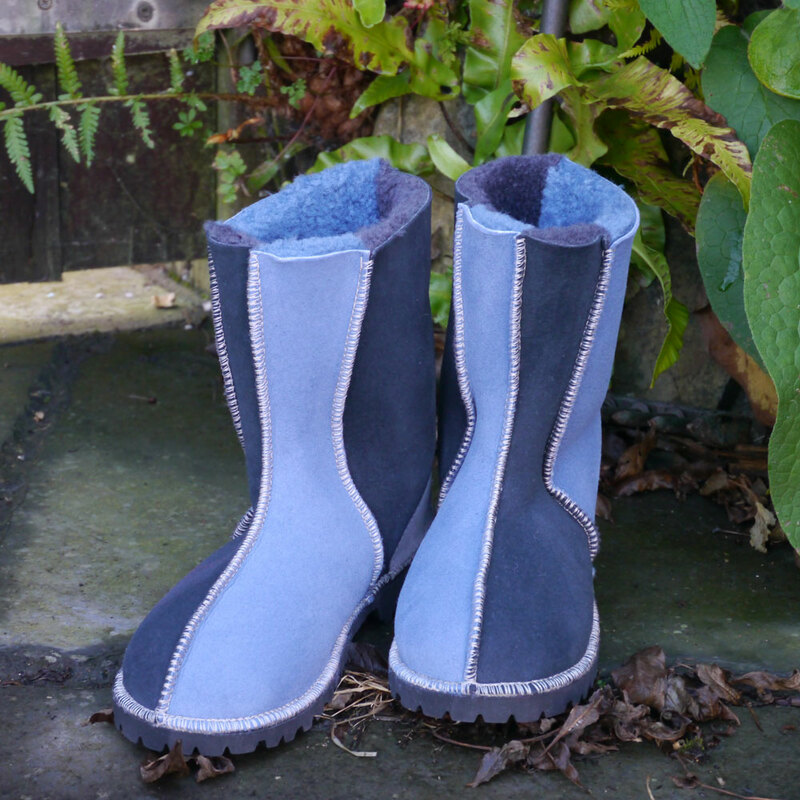 Our sheepskin is sourced in the UK but our soling material comes from Italy.